Socks For the Family (Book 14) Includes a variety of socks for the family. Can be knit plain or in lace, fairisle, tuck stitch or on the g-carriage. 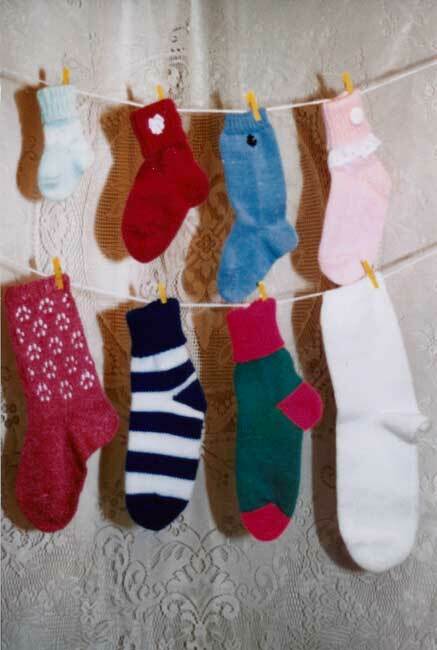 Knit wool socks for the hunters in your life and cotton ones for those who are allergic to certain fibers.